Giza: Mystic Journey. But found at this website:. 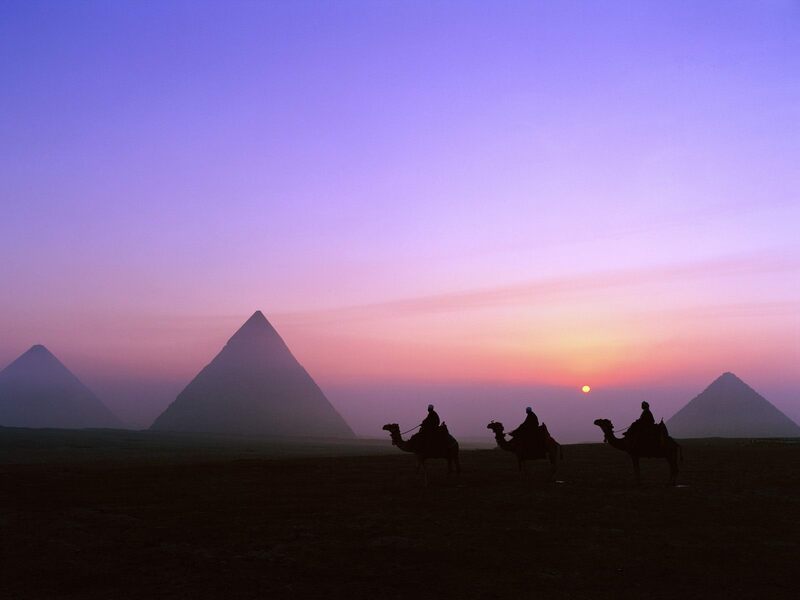 HD Wallpaper and background images in the Egypt club tagged: egypt pyramids giza sunset camels wallpaper purple pink blue.